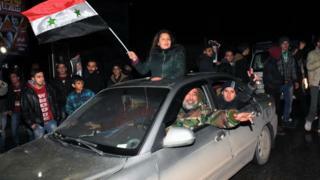 The Syrian army says it has retaken full control of Aleppo, following the evacuation of the last group of rebels. In a statement, the army said it had "returned security to Aleppo" and called it a "crushing blow" for rebels. The International Committee of the Red Cross (ICRC) confirmed "all civilians who wished to be evacuated have been, as well as the wounded and fighters". This is the biggest victory for President Bashar al-Assad since the uprising against him began in 2011. At least 34,000 civilians and rebel fighters have been removed from eastern Aleppo over the past week, a UN official said earlier. Heavy snow, strong winds and the poor state of vehicles have slowed the evacuation, forcing thousands of people to wait for hours in freezing conditions. The UN, which is monitoring the pull-out, called the process "traumatic, with crowding and vulnerable people waiting for hours" in freezing temperatures. 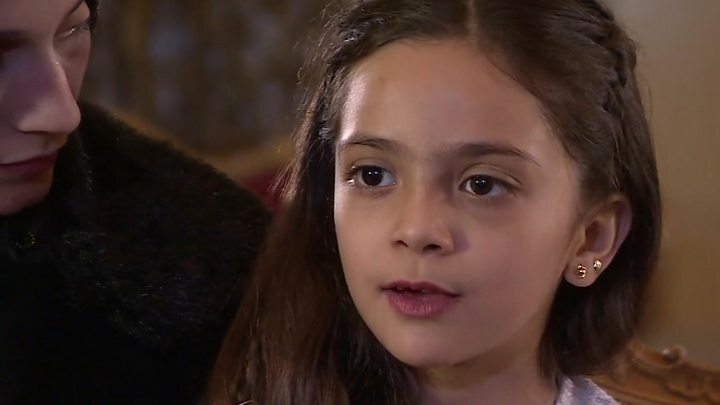 Media captionAleppo "tweeting girl" Bana Alabed tells of "heavy suffocating smoke"
The evacuees from eastern Aleppo are being taken to rebel-held territory in the countryside west of the city, and in Idlib province. As part of a deal brokered by Russia and Turkey, residents of the government-controlled towns of Foah and Kefraya in Idlib province, besieged by rebels, are also being removed. ICRC spokeswoman Krista Armstrong said that everyone from each side who wanted to be evacuated had now been moved, and the process was complete. "This victory represents a strategic change and a turning point in the war against terrorism on the one hand and a crushing blow to the terrorists' project and their supporters on the other hand," the Syrian army statement said. The government usually refers to the rebels as "terrorists". The statement said the victory was a further incentive for the army to carry on fighting to "eradicate terrorism and restore security and stability to every span on the homeland". 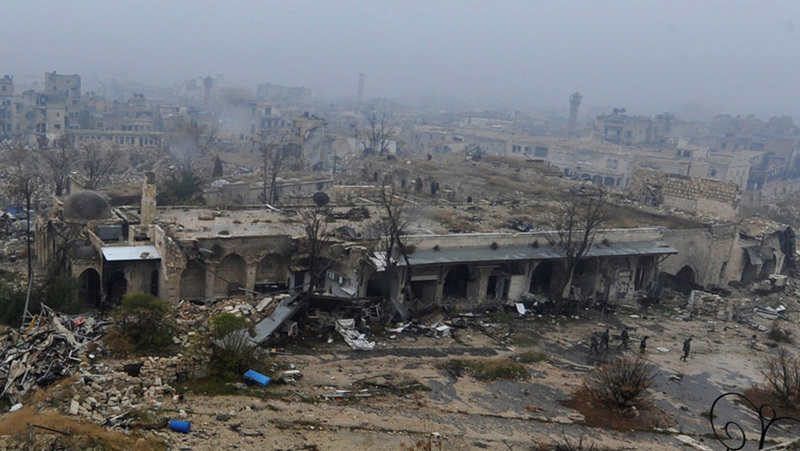 Yasser al-Youssef, of the rebel Nureddin al-Zinki group, said the return of Aleppo to full government control was a "great loss". "For the revolution, it is a period of retreat and a difficult turning point," he told the AFP news agency. 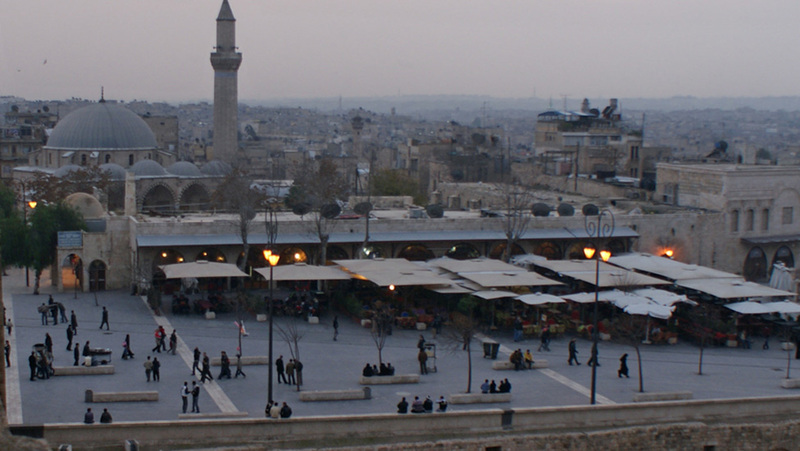 Aleppo was once Syria's largest city and its commercial and industrial hub before the uprising against Mr Assad began in 2011. After breaking through the rebels' defensive lines in mid-November, they quickly advanced and had seized all but 2.6 sq km (1 sq mile) by the time a ceasefire was brokered. Earlier, Russia's Defence Minister Sergei Shoigu announced that its warplanes had carried out 18,800 sorties since launching an air campaign against Mr Assad's opponents in September 2015. In total, they had "liquidated 725 training camps, 405 weapon factories and workshops, 1,500 pieces of terrorist equipment, and 35,000 fighters", he said. Human rights groups have accused the Russian and Syrian air forces of committing war crimes in Aleppo, alleging that they killed hundreds of civilians this September and October alone, deliberately targeted medical facilities, and used indiscriminate weapons such as cluster and incendiary munitions.